Drummond/Myford M-Type lathe. There never was a proper "handbook" for the Myford/Drummond M Series of lathes, but we can supply four Sales & Accessories Catalogues (that include the essential headstock bearing adjustment instructions) - these representing everything published about the lathe presented as a high-quality bound print. 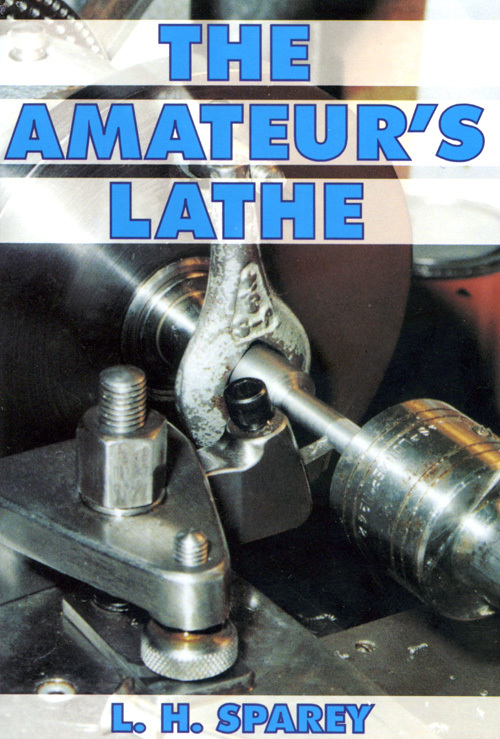 To help with the practicalities of using the lathe I'd recommend a copy of comprehensive and easily-understood book "The Amateur's Lathe" - this is shown below. Myford/Drummond M-Type lathe: The "transition" booklet when Myford took over manufacture in 1941. Drummond 1921 3.5-inch M-Type. 12-pages plus 2-page letter from the makers. Drummond 1930-1942 M-Type. Sales Booklet. Contains details of the essential headstock bearing adjustment technique a study of which will enable you to dismantle the headstock safely. 12 pages. Drummond M-Type Lathe: Special Attachments & Accessories Catalogue. 16 pages. 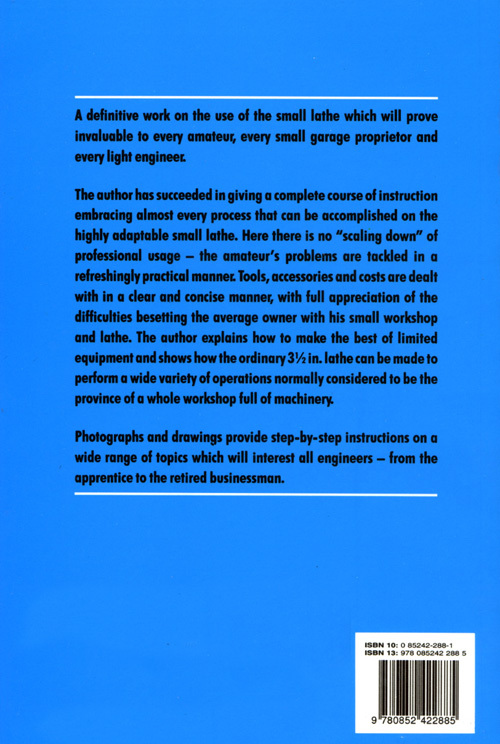 The essential lathe book that gives a complete breakdown of all the facts about parts and functions that a beginner needs to know. Carefully written articles guide you through the process of choosing a suitable lathe and how to use it successfully - while further instructions, leading to more advanced exercises and projects, are also included. All manuals are scanned at high resolution and supplied as a top-quality print, bound and on a superior 129g paper. Unless otherwise stated, all manuals are in English. For interesting and helpful books on machine tools, see our books page.